Rafael Dos Anjos on Colby Covington: "Just a worse version of Conor Mcgregor"
Since rising to prominence as one of the elite fighters in mixed martial arts today, Rafael Dos Anjos has really made a name for himself. His most career defining moment came when he won the UFC Lightweight Championship just a couple of years ago. 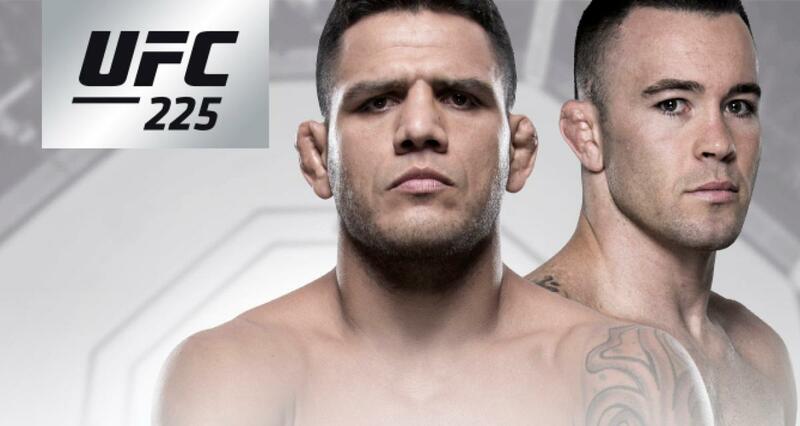 Now moved into a new weight class at Welterweight, along with a three fight win streak in tact, Dos Anjos looks to travel down a new road in hopes of winning the UFC Welterweight Championship and becoming the fifth man in UFC history to win two belts in two different weight divisions. Dos Anjos is known for his soft-spoken, humble demeanor outside the octagon, but once the cage door shuts he turns into a pure assassin, having put together some of the most violent, vicious finishes in the UFC. RDA will look to put that reputation on display next Saturday night in Chicago, Illinois at UFC 225 as he faces outspoken contender Colby “Chaos” Covington. Covington has recently become another one of the more controversial fighters in the UFC, mainly projected from his trash talking ability. When the fight between Dos Anjos-Covington was first announced, you knew it’d be high-stakes, but lately as the two have exchanged heated words, it’s become personal, mainly for Dos Anjos for the simple that he is Brazilian and has not forgotten about the outlandish remarks Covington made about his country after he defeated his fellow Brazilian brethren Demian Maia. Though the remarks still stick in his mind, Dos Anjos remains calm in spite of it, because after all, dealing with trash talkers is nothing new for Dos Anjos, need we not forget, had he not gotten injured he would have fought a man who talks trash just as good if not better than Covington, only difference is this man is a filthy rich superstar from Dublin named Conor McGregor. If he could deal with somebody like Conor and not be fazed, then Colby Covington is just child’s play. Though Colby’s words have caused massive reactions from others, RDA is yet still unimpressed from what he’s heard from the American Top Team product. “Yeah, because I’m professional fighter,” Covington replied. Leading into yesterday’s UFC 225 Media Conference Call, Covington’s trash talk has ramped up both on Dos Anjos and his home country, regardless RDA has proclaimed he is unbothered by Covington’s harsh barbs. “I’m a cold-blooded fighter. I have no emotions,” Dos Anjos said. In the midst of the verbal their verbal tirade during the press conference, Dos Anjos revealed that Colby Covington’s brash, heel-like persona is all but a facade, and even proceed to recall an incident with Kamaru Usman that saw Covington ignore him to avoid confrontation. Hey, little boy,” dos Anjos interrupted. “I’ll fight you next week. Who do you think will win between Rafael Dos Anjos and Colby Covington next Saturday at UFC 225?